A sharply-divided body ruled that limits which “arbitrarily reduce damage awards for plaintiffs who suffer the most drastic injuries” are unconstitutional. Three of the seven judges filed a dissenting opinion. Pain and suffering is the largest component of a category that also includes other intangible losses that are not normally associated with an economic cost, such as loss of consortium (companionship and contribution to household management), emotional distress, and loss of enjoyment in life. Particularly in medical malpractice claims that often involve permanent injury and inoperable conditions, the noneconomic damages often far outweigh the medical bills and other economic damages. To limit compensation for victims, physician groups and insurance companies routinely trot out the argument that high damage awards mean high insurance rates that drive doctors out of the state. But as the Supreme Court observed, there is usually very little evidence to support this proposition. Besides, even if insurance rates go up, most doctors will try to pass these costs along to health insurance companies before pulling up stakes and moving elsewhere. Some doctors only order a few diagnostic tests because they are afraid the health insurance company will refuse to pay for more. If the patient has no risk factors for a certain disease, doctors almost never diagnose it. That last reason may be why cancer is the most-frequently misdiagnosed condition, because for example, many physicians will not diagnose lung cancer if the patient doesn’t smoke. Although not as common, surgical errors spring from a similar environment. Rushed doctors do not always take as much time as they should during surgery, especially if the procedure is a crash Cesarean section or other similar operation. Errant C-sections are just one component of birth injuries, which are a third major malpractice area. Cerebral palsy is one of the most common effects, as few moments of oxygen deprivation during birth is usually sufficient to cause permanent muscle damage, as well as permanent mental disability in many cases. 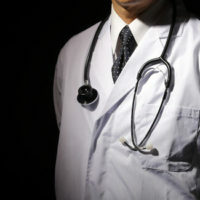 Medical malpractice cases often involve significant compensation. For a free consultation with an experienced personal injury lawyer in Brandon, contact Reed & Reed.